Dear Folks. My name is Jacqui Lowman. I teach at the University of Maine at Presque Isle. I’m also the founder and president of BEYOND LIMITS: Awaken Your Potential, a 501C3 that believes that the human spirit can transcend anything, that challenge is an opportunity to be extraordinary, and that when we come together, anything is possible. We believe in doing as well as talking/thinking. Indeed, one of our mantras is: The Difficult we do right away; the Impossible takes a little longer. As BEYOND LIMITS developed, we realized that we needed to practice what we preach: and we needed to do it by tackling something that would be hard for anyone—much less for a team with a member who cannot walk. So we decided to summit Mt. Katahdin, the northern end of the Appalachian Trail and arguably its toughest part. On July 14, 2015, a team of us made it safely to the top of Katahdin—and back down again (which was even more extraordinary). But our experience affirmed what we already suspected: being on the top of Katahdin was wonderful. But what transformed each and every one of us was the journey—forming an amazing team who asked Why Not instead of Why. One of the drawbacks of the Katahdin climb was that it was very short and involved relatively few people. We needed another group experience, but one that would give hundreds the opportunity to be extraordinary, to awaken their inner potential, and that would span months and not days. And thus the BEYOND LIMITS Appalachian Trail Adventure was born. In 2017 we will thru hike the Appalachian Trail. We will start in Georgia in March and end back on Katahdin at the end of September/beginning of October. That’s why I’m reaching out to you. This is an opportunity for hundreds of people. 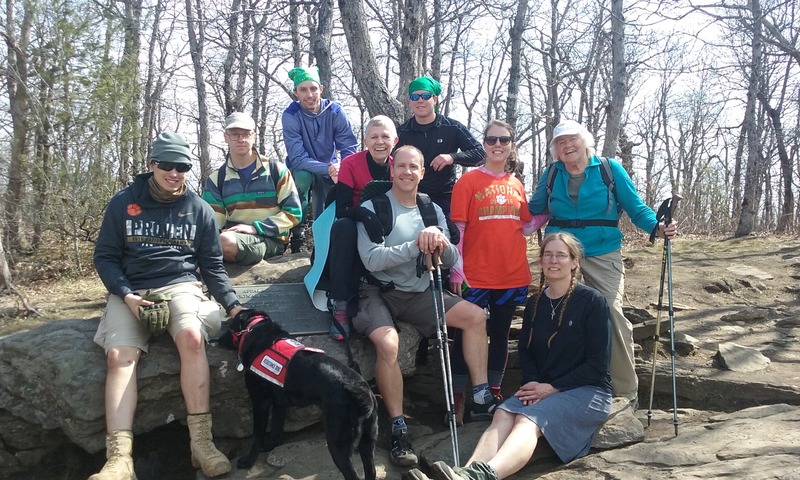 We will have members of our Hiking Team who will sign on for as little as a few weeks to as much as the entire hike. 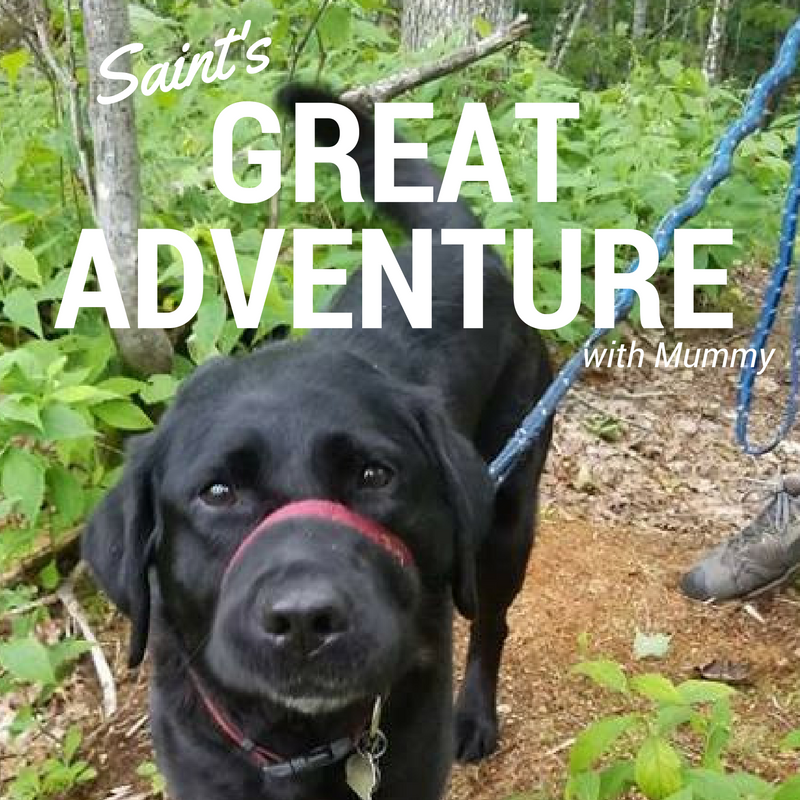 (My service dog Saint and I will hike the whole time.) We’ll have myriad roles for Trail Support Volunteers all along the trail. We’ll have Trail Volunteer Coordinators who will lead and coordinate the teams of trail support volunteers. There’s a huge educational component to our hike. We will document it and report our experiences all along the trail. There are so many lessons that we will learn and share. We’ve already done a great deal of planning. During the spring of 2016 a group of my students and I spent countless hours on logistics. We needed to break the hike and the planning down into components to make it feasible. We formulated volunteer opportunities and ways to reach out and spread the word. We researched gear, supplies and technology. We anticipated types of emergencies and ways to handle them. We created a time frame of where we’ll be when, so that people can figure the times and places that would work for them to join us. We started to develop an incredibly rich, multifaceted, interactive map so that people can see every inch of the trail with its features, topography, shelters, other assets, places to resupply and refresh, etc. What we’re doing for the summer of 2016 is putting some of the planning into action. We’ve refined our volunteer position descriptions. We’re working on our special adaptive equipment and doing some field tests. We’re putting together a video campaign and beginning to recruit support. I hope that I’ve piqued your curiosity and that you’ll want to learn more. I’d love to talk with you about this. I can give you a great deal of detail, including team position descriptions. If you have a desire to join us—or know people who would–we can find a niche for you/them. You’ll be embodying teamwork, leadership, experiential learning, living close to and reverencing Nature. If people would like to use this experience for academic credit, I am happy to work with any educational institution to make it academically robust and credit worthy. As a tenured professor at UMPI, I have expertise designing curriculum that incorporates experiential learning and that gives students voice and choice to result in rich, nuanced, rigorous, real-world academic experiences. We view the AT as a unique learning laboratory. Whatever your involvement, we guarantee that you’ll be part of something extraordinary. I’m looking forward to hearing from you and talking more with you about this. You can reach me at : drjacqui@beyondlimitsawaken.org or 207-768-9745. I’m also particularly fond of Google Hangouts because that way we get a face time experience that’s the next best thing to being there. And please feel free to pass this along to others. As I said, this is all about sharing opportunity. Thank you. Take care. Be well. Let’s talk soon.